Olivia deBelle Byrd is a self-proclaimed Southern Belle who resides in Panama City, Florida, with her husband, Tommy. 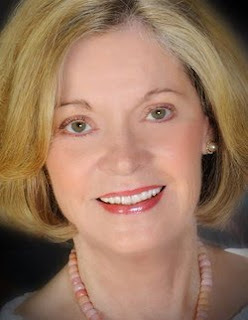 She is the author of Save My Place & Miss Hildreth Wore Brown--Anecdotes of a Southern Belle. Though make sure to have a tissue or two for the end. What a powerful ending it was too. I just loved how the author told this story. Period. It was told from Elizabeth's point of view, but added touches of the letters written by her husband. His viewpoint made the story poignant, which essentially gave the story is guts. 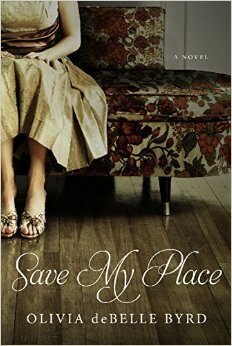 The author takes you through Elizabeth's life, mostly after Kincaid, and it's a vivid look too. While reading the ending I already gushed about, I had to remind myself it was just a story. She pulled me in that far though, that the emotion felt real and raw. Not what I expected at all, to be honest. I read Miss Hildreth Wore Brown, which is a complete bi-polar opposite of this story, and wasn't expecting this side of the author's writing. I thought it would be mostly wit. I am so glad I was wrong. It shows how talented Olivia is. She can write hilarious tales of a southern belle, or life sagas that pull you in emotionally. I cannot wait to see what she comes up with next! Southern Fiction and Contemporary fans, be sure to get your copy today! Hadn't heard of this author or either book, will have to check them out!